Manuel Moliner obtained his B.S. degree in Chemical Engineering at the University of Valencia (Spain) in 2003, and completed his Ph.D. at the Polytechnic University of Valencia (UPV, Spain), in Chemistry, under the guidance of Prof. Avelino Corma in 2008. Afterward, he completed a two-year postdoc (2008–2010) with Prof. Mark Davis at the California Institute of Technology (Caltech, USA). 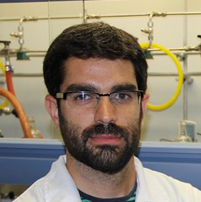 He is a Tenured Scientist of the Spanish National Research Council (CSIC) since 2014, where his research lies at the interface of heterogeneous catalysis and materials design. Manuel Moliner has published 70 papers in international journals, and is co-inventor of 24 international patents (14 transferred to industry). He has received different national and international awards, as the “EFCATS Thesis Award” to the best Ph.D. Thesis in Europe in 2007–2009, the “TR-35 Spain 2011” awarded by MIT to young talents in Spain under-35, or the “FISOCAT 2014” to young scientists under 40 in Latin America.